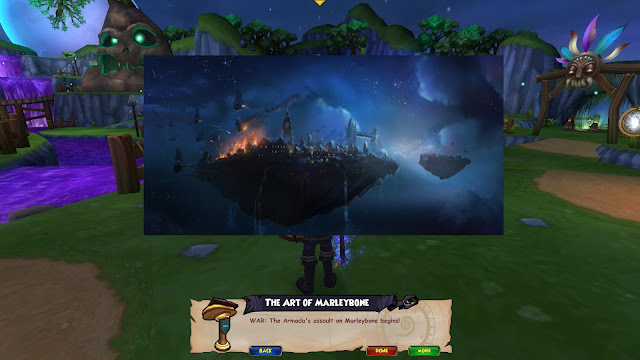 Around the Spiral with Edward Lifegem: Skull Island, Christmas and Space Art?! 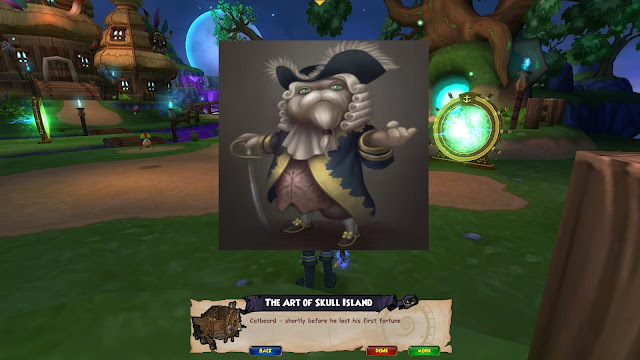 I wonder if Ratbeard will ever look like this again in a new promotion? I think the Art of Skull Island is amazing, but I know my favorite Art Book even if I didn't look at the rest yet... MARLEYBONE. 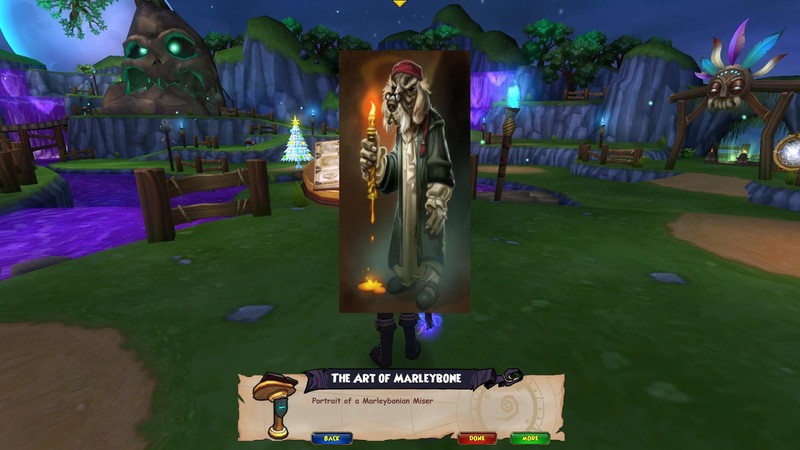 I love Marleybone (if you didn't know that by my backgrounds) and the Art of Marleybone is already my favorite because it reminds me of Christmas (well Pirate101 Marleybone reminds me of Christmas because of Ebeneezer Scrooge) and it's a space theme! :D I didn't check all of the Art Books out since I want to save a few of them for a surprise on the live realm. I know I'm going to buy a few for my Witchdoctor's house. 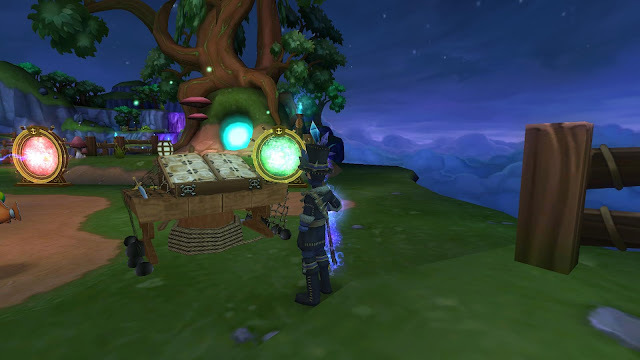 I've already made a collection of teleporters, Christmas trees, pets and special companions so I think I'm going to add this since this is also one of my favorite things on the game! :D I can't wait until it's released to the live realm! I should go... need to prepare my brain to test PvP tomorrow or Monday. Wish me good luck! I'll make a post about my first Ranked PvP match after I test it out! Until then, I'll see you around the Skyways. My Favorite Art so far! I'd love to have that image as my background on my website!